We all would of had those momement where we caught our breath wondering if we would make it, where we remembered life is too short, where we cried from the struggles life delivered. Today on New Years Eve, it is a time to open a fresh chapter. Not to ever forget the past but for new lessons to come, new experiences to live and new memories to create. This year I am not going to promise myself the world only to be disappointed in not finishing things off. I am going to TRY and low my own expectations of myself.. Here is my list for 2013.. I am going to celebrate the good things with my Grateful Jar.. Writing a quick note of the good events that either myself or family member has done so on New Years Eve 2013 we can remember and enjoy the great year it was. I am going to take off my own pressures at dancing & believe in myself.. I love to dance but often I am way too hard on myself instead of enjoying it and letting the love shine. I need to stop multi tasking so often & put 100% effort into the moment that I am in. How can you achieve something with grand results when I am not putting in the full effort..? So no more surfing the net, while cooking tea and juggling homework..
Infact what I am going to start with for this.. Is when I drink my glass of wine that I enjoy, I am going to sit on the back deck and do nothing but drink my wine… Remembering to keep it simple. But in all honesty, these are tasks that would stress me out on a daily level rather than making the year an enjoyable time. Someone once told me you ~ The only way to eat an elephant is bite by bite…. By keeping tings simple and being kind to me hopefully the rest should follow..
As 2012 comes to an end it is time to reflect on life and all of the goals and tasks we have burdened on our shoulders. Some we ticked off, others we forgot and some will take a long time. One of my tasks before this year ends is to thank each and everyone of you who has been part of my journey. Some of you are very new and others of you have been around for the almost 2 years I have had this page. 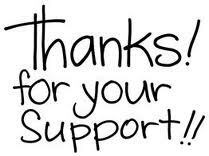 Thank you for your support, your help, your understanding, your knowledge. Thanks to those who comment, those who like comments and those of you who just read.. Thanks.. Sometimes opening up your private life is a hard thing, especially still keeping our life somewhat private. In some cases I giggles as the private me on facebook and the page me sometimes is like 2 completely different people with the things I write about. 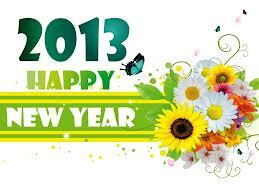 My gift back to you is that 2013 brings you joy happiness and health. WoW what a full on Every moment filled… Kinda week end this last one has just been. Over the past few days I have worked out that this is what I know. I know that feeling Sea Sick is very similar to feeling hung over.. The disorientation and the out of control dizziness is not nice.. The main difference is that with a hangover, it is normally joined with a thumping head ache.. So to be honest I am in no hurry to have either, Sea sickness or a Hangover in the near future.. So I will endeavour to add soda water to my wine and only venture out in calm seas. I know that emptying the bottom drawer of the dishwasher first works best. Normally in the top drawer I have my plastic drinking cups, of which these have a lip on the bottom of them. So if I empty the top drawer first I spill a bunch of uncleared dishwater over the bottom level, making them wet. So I work from bottom up.. I know that doing bulk washing at the laundromatt works well for me. I get 5, 6 maybe 7 loads all at once, finished in 25 minutes. I then get to dry them in 16 or 32 minutes. I also enjoy the adventure of going there. I know that I LOVE ordering my groceries on line for a wake up early morning knock at the door. I know the delivery costs money but I have been putting together a pantry list as well I caught up on my washing machine & dishwasher supplies, so this weeks order cost $5 in delivery. So for the cost of a takeaway coffee my shopping was done. I find less impulse buys & definately less grocery handling. Woolies or Coles… Love them both.. I know that now dancing has finished for the year, I will over indulge & the first few weeks will kill me to return. So I am thinking, only THINKING mind you.. Of tackling the Couch to 5kms using the app on my phone..! Has anyone tried this? I spoke to a school mum yesterday who used this and loved it. She now runs for 40 minutes.. I am the kind who run if missing a bus or who runs if I need to save my kids from danger.. I know that I am going to sit down next week and put a plan in place for the holidays. Free events mixed with home fun with the odd excursion type day at a recreation centre? I will need to balance 1 day at work each week also some how. I guess this is where having your own business really helps. How do you plan your school holidays? These are the things I know this week. $100 per week shop doesnt exist here.. I follow many pages as well as write my own. I am always looking for great meals, budget tips and house hold routines. I am reading more and more about the $21 Food challenge and how people keep their food shopping to under $100 per week. I must say if there is just ONE thing our house is reknown for, it is getting a great feed! I know there are plenty of you who can keep your groceries down to these costs but in our house it is not at all possible. Not because we feed the world. Not because we have constant visitors dropping in and out. But because we like good food..
Lamb anything, infact almost every second week it is lamb roast. I also chose the boneless roast so we can eat it all as I feel that with the bones I am always leaving meat as I cant get it from the bone..
Scotch fillet, thick rib fillets, rump…. Are all tasty and tender to eat. Chicken is a weekly meal here, we like thigh or tenderloins, it is also not uncommon for me to cook a roast chicken. I would eat vegetarian but I know if I gave my husband something with out meat in it, he would be waiting for his meat of some kind to arrive. We also eat pastas but not the pesto kind it always has mince or chicken in it. We eate rice with meat in a sauce and veggies to the side. Yet we dont have 1 frozen vegetable in the freezer. It is all fresh fresh fresh, of which we eat plenty of. Every so often, I am happy to eat put of our pantry and freezer this gets rid of the accumulated excess and that week is reasonably low. But as a whole I have stopped stressing myself out with keeping the shopping low. As it doesnt work here at all. The cost just is what it is..
How does your family eat? Over the past few weeks I have been suffering from that dreaded Mummy Guilt feeling..
As a mother you feel it is your duty to solve your kids world, to protect them and help them succeed at all cost. It is that feeling when you just want to hop inside your child and help them – but you cant! It is that feeling that you should of been onto things sooner – but you were! It is that feeling that you havent done enough – yet you have never given up! It is that feeling that if you were them how differently you would react – that is the adult with years of experience in you speaking! It is that heart pulling heart wretching feeling that as your childs parent you have not exhausted every avenue – yet you have done everything you can! It is the silent tears that fall and knowing that you arent the one to fix things just support and travel THEIR ride of L I F E! Sometimes with kids we need to remember that they have their paths in life, which ever way they travel. You cant control them, you cant do it for them, all you can do is keep recharging and give endless support to pull them through. All kids get to the other side on their road that they travel, sometimes rolling onto the dirt from time to time as they have lost the track. What they want is someone on the side lines cheering them on continually. Someone who believes in them to get there. So for all those with Mummy Guilt like me, dust your self off, pull up your smile and know that we need to sometimes all dig deep to find the inner strength to support our kids but we are never alone..
Who else gets this pang from time to time? I am not going to give to 10 tips on how to decrease you debts nor am I going to give you my shopping list totaling under $100.00..
1. Every house runs differently so what works for me might not work for you. 2. We like to eat good food, so in our house $100.00 per week on food just doesnt cut it for taste value. But what I will tell you is this.. Anyone with a credit card debt that is too big too jump over needs to google “0 interest credit cards”..
We had credit card debits over $20,000 of which I couldnt see the light of day. But what I did find was that at the moment all banks are fighting for business so here are my quick tips..
1. Open a new credit card if you have too, as little as it may be and start to move small amounts across and chip away. If you have 20,000 @20% but can make that 15,000 @20% & 5,000 @ZERO!!! Do it.. As you are already saving money. So only pay it off – NEVER SPEND ON IT TILL YOUR DEBIT OR TIME IS DONE! 3. Work out how much you can afford each week and pay this straight from your wage the minute your money hits your account. I had 5,000 over 6 months and paid 250.00 per week. This way I could cover the total in the time frame but still had grace if something went wrong. 4. After each week before our next pay, I would move any tiny spare bits of money left straight onto this card making our accounts zero. It was surprising what an extra 10, 25 or even 50 makes here or there. They will take on my remaining debit of 10,500 which they will increase my card too to do so. They will close the 2 credit cards they are taking this debit from. Once the 6 months is up they will then give me a life time rate of 7% less than the market rate.. So for once I am feeling my shoulders lighten. Credit cards are a trap for some, an escape for others or for some a safety net. We all use them differently. If you for what ever reason are caught in credit debt and cant pay off more that the payments each month, then consider what I have said. As we were those people, maxed out, over drawn fees each month due to the interest going over our limit and the amounts wete never dropping. It can be done. Even 1,000 here or there..
My last tip.. Once you are decreasing debit and paying cards off dont forget it is super easy to decrease them. Dont be scared of the What if we need the money thoughts, as you can always increase again just as quickily if you ever need too.. I normally plan my meals for the week but it is a relaxed easy come easy go guide for the week. Most afternoons the kids still ask WHATS FOR DINNER? I have decided that I needed to have our weeks eatting placed some where..
Then I had a better idea!!! I have a meal planning pad that I picked up very cheap from Coles one day which I have used inside a frame. Do you have something like this in your house?